Jason Wiener | p.c. Named “Best For The World” - jason wiener | p.c. Jason Wiener | p.c. 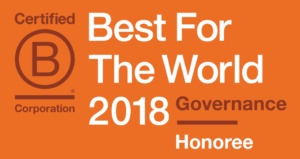 is proud to announce that we have been named “Best For The World” by B Lab for the second year in a row. This year’s award focuses on governance within the legal industry. We are intentional about working with and advising companies that are progressive in their approach to business. Whether it be a company committed to having a net positive environmental impact or a small business that wants to implement democratic ownership principles, we are helping our clients innovate their business structures and governance practices to achieve better outcomes for employees and communities. As a firm, we re-visit our values and mission statement weekly to discuss how we are living out our values and where challenges arise. This results in an open dialogue among everyone at the firm about how we can better serve our clients and what impacts our actions are having on our community at large. Our most recent community initiative, the Legal Café, came out of this open dialogue. The Legal Café is a free event, inspired by the Sustainable Economies Law Center, where we invite community members to join us for a short presentation on a legal issue and an hour-long small group Q&A with our attorneys. The practice of regularly discussing our firm values keeps our work fulfilling and reminds us of the positive impact we are making while also keeping us honest about where we can improve. It has been a wonderful tool for reflection and goal setting. Out of this and other practices we are creating a workplace that rewards everyone for their efforts, learns from the past, and creates effective decision-making structures. Perhaps the most important part of being a social enterprise is continual evaluation of current practices with a critical eye to where we can improve. Through retreats, retrospectives, and weekly team huddles, we evaluate our impact internally and externally—constantly looking for ways to improve. As a result, our firm takes an iterative approach to client work; we are not hesitant to try new things. This approach keeps us engaged, flexes our creativity, and ensures that we are delivering innovative solutions for our clients and community. As we grow, we are excited to also grow our community focused offerings. One long-term goal we have identified is to increase the amount of pro bono work we do individually and as a firm. To do this, we plan to continue hosting our Legal Cafés, explore pro bono partnerships, offer one-on-one consultations to low-income entrepreneurs, and increase our use of technology in a thoughtful way that will allow us to serve a more diverse set of clients. 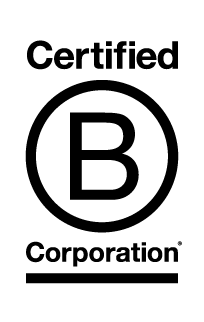 We are excited and honored to receive recognition for our work as a B Corp. To anyone new to this space, there are a variety of practices that have led us to where we are. Don’t be afraid to experiment and actively engage your employees, vendors, and customers in the discussion about ways to improve. Give out much responsibility, trust people—then listen to and implement the feedback. Together, you will have more impact than you could individually.